Graham in Lamentation, photo Barbara Morgan. In 2011, Jacquelyn Elder, Katherine Crockett and Tadej Brdnik, members, at the time, of the Martha Graham Dance Company, reworked their own adaptation of Graham’s 1930 Lamentation in the form of a video. Elder directed it, Crockett performed the solo and Brdnik, who had the idea in the first place, produced it. It was an entirely self-funded project and stands out as a remarkable dance adaptation of one of Graham’s greatest works. To begin with, it is a video and not a live performance, thus allowing the audience to watch it over and over again even from their own house. Then, the soundscape is particularly unique, in that it is a mixture of sound, underground trains’ noises and Crockett’s voiceover, which brings it into the twentieth-first century and yet keeps a firm bond with its adapted choreotext. Third, the uncommon location where it was shot, the New York underground Christopher Street – Sheridan Square Station, removes it from its usual set, the theatre stage, to insert it in the pulsating heart of the metropolis, the underground. Lamentation is a solo Graham choreographed and performed in at Maxine Elliott’s Theatre, New York, on 8 January 1930. It lasts less than six minutes and features a dancer wrapped in a purple tubular stretch costume that hides her body except for her face, part of her torso, her hands and feet. As the title suggests, it is a kind of lament, exemplified by the restrained movement quality, which is limited and, at the same time, highlighted by the costume. However, it is not about a grieving woman, but about the notion of grief expressed through movement. The dancer sits most of the time on a bench, thus destroying “the conventional image of the dancer” (Marica Siegel, 1979: 38) which is usually connected to movement performed across space. In Lamentation, instead, the energy is all concentrated on that bench. The stretching nature of the costume shapes and reshapes the human body according to unusual forms. Graham associated the piece to “the ability of stretching inside your own skin” (Martha Graham, 1991: 117) and the costume does recall the thin and organic texture of a person’s skin. At the same time, it deeply moves the audience as the dancer performs its simple and yet striking gestures: arms forward, arms up, arms joined in prayer, feet up and down, torso slightly moving. To confer a visual idea of what the piece was and is about, I chose two of Barbara Morgan's photographs for this article and two videos, one featuring Graham dancing it in 1943 (fragments, silent video), the other Peggy Lyman, from the Graham Company, dancing it for the Dance in America 1976 TV series (complete solo, with music). Lamentation is still today a work of art made of synthesis and simplicity, two concepts Graham was focusing on in the 1930s when her approach to dance was mainly dealing with solo and group works, “as to form, which is the heart, there is manifest an economy of gesture, an intensity and integrity of mood, a simplified external means, and above all a concentration on ‘the stuff’ of the dance, which is – movement divinely significant” (Martha Graham, 1930: 254). This solo stands for what modern dance was trying to achieve in the 1930s, a new vision in terms of form and content, a vision which was rooted in the time and space those dancers were inhabiting, like the Depression and the World Wars. These events, modern dancers found, could not be expressed with the type of dance language (ballet and vaudeville, for example) that was available at the time. A new language, a new form was necessary. Lamentation exemplifies these aspects and adds many more. That is why, along the years, it has been recreated and reinterpreted in numerous ways apart from the video I am about to analyse. In 1996, dancer and choreographer Richard Move reinvented Graham as a drag in his show, Martha@ and one of the pieces he performed was Lamentation, thus giving the solo a queer twist. Move was particularly good in interpreting Graham, her voice, her way of talking and her stage presence, so much so that his show became a must see for theatre goers across the United States and Europe. 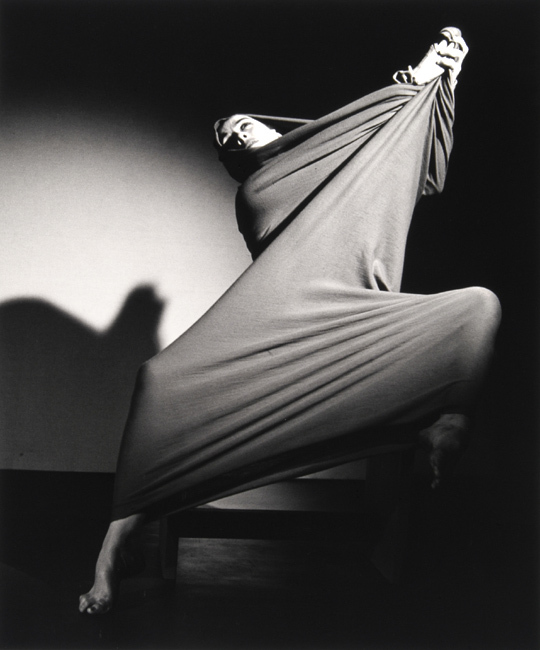 Martha Graham in Lamentation, photo Barbara Morgan. A few months after 9/11, members of the Graham Company took part to “a project for middle schools in the area to talk about emotions” (Tadej Brdnik, 2015) and used Lamentation as a springboard. It was an intense and unusual way to focus on grief and maybe find an emotional channel to start dealing with it. Years later, Brdnik was involved in another similar project during which five postures from Lamentation would be taught to students of any kind of school and ability. On one occasion, he taught it to visually impaired students and found it a great experience. This last aspect makes us reflect on dance and Graham’s dance from a perceptive rather than visual approach. What is the body’s dynamics? How do you perceive your arms and legs while moving inside a tubular piece of fabric? In 2007, the Martha Graham Dance Company artistic director Janet Eilber, asked three contemporary choreographers, Aszure Barton, Larry Keigwin and Move himself, to create a work based on their response to Lamentation. The idea was to commemorate 9/11 in a new and empowering way, taking inspiration from the “economy of motion” (Janet Eilber, 2011) so dear to Graham. The project was called Lamentation Variations, it premiered on 9/11, 2007, and had such a great response that the pieces are now part of the Company repertoire and new commissions have been given to other choreographers. It is in black-and-white and opens with the following line: “Lamentation – The passionate and demonstrative activity of expressing grief”. Then the image of an underground train running appears, while another one in the platform next to this one stands still. After this, it moves and, as it disappears, it reveals Crockett wrapped up in the Lamentation costume sitting on the platform bench. It is a striking and unexpected moment for both those who know the piece and those who do not. As she moves her torso backward and forward, another train comes, again a sudden and noisy interruption. She moves her torso to the sides, thus creating lines and perspectives through the costume. Then her voiceover begins. It consists of a montage of recordings Elder made of Crockett’s voice talking about different things. It is a kind of stream of consciousness approach and establishes a direct link with Graham’s interest in the human psyche and her personal way to portray it. It is an approach she will develop more consistently from the end of the 1930s onwards with pieces like Letter to the World (1940-41) and Errand into the Maze (1947). Elder’s choice to create this introverted atmosphere gives life to a layered vision of Graham and adapts not just the solo in question, but also an important part of her choreosophy at large. Crockett’s arms move upwards so that the costume alters the already altered human shape into yet another geometrical form. The camera indulges into a medium shot focusing on her face and arms while her voiceover is talking about “hands, these hands…”. Then she rises from the bench moving her right hand forward, torso twisted, long shot on her figure standing. Her hands join in a praying act and a train comes to yet again interrupt the last phrase of the solo. When the train disappears, we see Crockett’s body folded down, her right arm on the floor. It is the closing part of this kinetic lament, a dramatic and also intense closing. The three dancers’ aim was to “showcase the work in a different scenario” (Brdnik, 2015) with respect to a theatre stage, “a contemporary space” (Elder, 2015), “in the midst of everyday current public life” (Katherine Crockett, 2015) where people who may not be able to go to theatre could experience a live performance. The underground was chosen as the perfect site because it is “part of our daily life” (Elder, 2015) and it is part of the daily life of millions of people. During the shooting, numerous curious people stopped to watch what was going on, but Elder decided not to include them in the video. “We did not know what would happen” (Brdnik, 2015), some people stopped and stared, some other asked questions (Brdnik, 2015). The choice of the soundscape was particularly elaborate. Initially they intended to bring it closer to a younger audience and Brdnik had suggested the use of a pop song, like Adele’s Chasing Pavements which nevertheless posed problems dealing with copyright. Elder, though, felt it difficult for her to let go of the formality of the piece and opted for the above-mentioned layered approach which juxtaposed the train noise, Crockett’s voiceover and a “droning sound” (Elder, 2015) inserted to enhance the pathos in some parts of the video. In particular, she thought of Graham’s interest in the “inner landscape” (Graham, 1991: 163) of her characters as she called it and thought it might be interesting to exemplify Crockett’s train of thoughts. Interestingly, even though Adele’s song was not used, it was retained in the making of the video as Crockett is actually listening to her song in headphones hidden under the costume while she performs. In this sense, the layered approach becomes even more complex. Crcokcett has danced Lamentation with the Company numerous times to the original score, so that her kinetic memory was perhaps challenged, perhaps reinforced when dancing the solo to Adele’s music. Lamentation Project is a powerful dance adaptation of Graham’s solo as it keeps its pathos and minimalism while reworking and adding a fresh perspective given by both the location, the soundscape and the fact that it is turned into a video. Brdnik, Elder and Crockett consider it a work in progress in need of further work, but since then Elder has moved to Europe and they never found the time to go back to it. Would it still be in black-and-white? Would it be shot in the underground? Would they use Adele’s song? Maybe yes, maybe no. In the meantime, we can enjoy it as a wonderful gem. I would like to thank Katherine Crockett, Jacquelyn Elder and Tadej Brdnik for their kindness in answering my questions. Tadej Brdnik, “Skype conversation with the author”, 15 November 2015. Katherine Crockett, “Facebook message to the author” 22 September 2015. Jacquelyn Elder, “Skype conversation with the author” 9 October 2015. Martha Graham, “Seeking an American Art of the Dance”, in Revolt in the Arts. A Survey of the Creation, Distribution and Appreciation of Art in America, Oliver Martin Sayler, edited by (New York: Brentano, 1930), pp. 249-255. 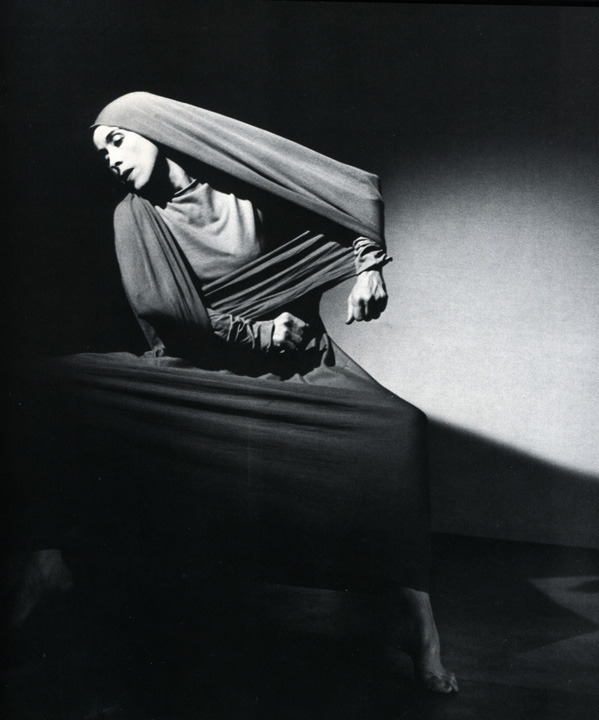 Martha Graham, Blood Memory – An Autobiography (New York: Washington Square Press, 1991). Marcia Siegel, The Shapes of Change – Images of American Dance (Boston: Houghton Mifflin Company, 1979). Lamentation, chor. Martha Graham, music Zoltan Kodály, costume Martha Graham, feat. Martha Graham (New York: Maxine Elliott’s Theatre, 8 January 1930). Lamentation Variations, choreographic project based on Martha Graham’s Lamentation. Commissioned works to: Aszure Barton, Larry Keigwin, Richard Move, Lar Lubovitch, Bulareyaung Pagarlava, Yvonne Rainer, Doug Varone. (Premiere: 11 September 2007, ongoing). Janet Eilber, “Lamentation Variations Description”, youtube video posted by popjoyhall, https://www.youtube.com/watch?v=I8d58JxWVc8, 4 March 2011 (accessed 16 November 2015). Lamentation Project, concept Tadej Brdnik, dir. Jacquelyn Elder, feat. Katherine Crockett, based on Martha Graham’s Lamentation, youtube video posted by Katherine Crockett, 16 February 2011 (accessed 16 November 2015). really superb article said to be dance adaptation of Martha Graham's 1930 solo. thanks for update this useful blog.